Samsung may be pleased with the Note 8’s reception and positive early impressions, but the company just received some unwelcome news from its homeland: Lee Jae-yong, Samsung Electronics Vice Chairman and heir-apparent, has been sentenced to five years in prison by a South Korean court for corruption. The Seoul Central District Court passed down the sentence earlier today. A panel of three judges found the billionaire guilty of bribery, embezzlement, hiding assets overseas, concealing profits from criminal acts, and perjury. Lee, who has been detained since February, was accused of being involved in a massive corruption scandal that led to the ousting of former South Korean President Park Geun Hye. 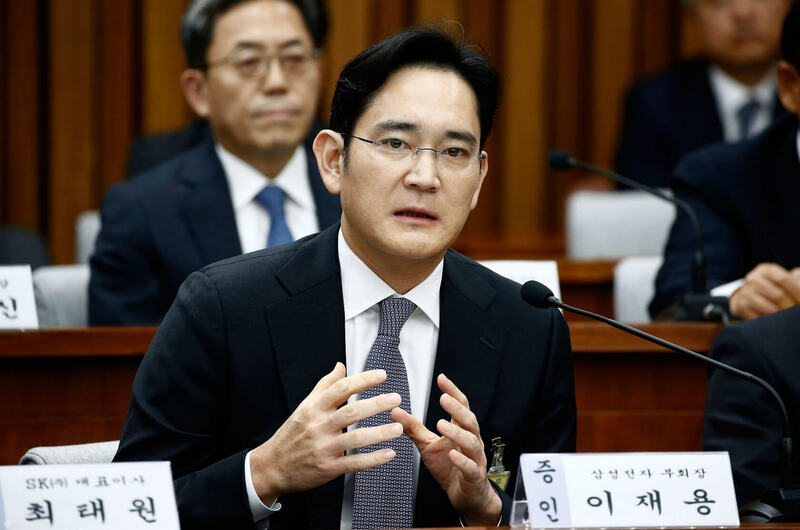 Prosecutors say Lee gave $38.4 million in bribes to non-profit foundations controlled by Park’s close friend, Choi Soon-sil, in return for policy favors, including presidential support for business deals that would increase his hold on Samsung. It's alleged that the company paid $1.09 million for a horse for Choi's daughter, Chung Yoo Ra, and spent a total of $6.4 million supporting her equestrian career. Samsung and Lee deny the charges and claim the deals were to boost the business' competitiveness. Lee’s defense said Samsung was pressured by Park to make the donations under duress, adding that Lee neither knew nor approved of them. Five years is a lengthy sentence, but prosecutors had asked for Lee to serve 12 years behind bars. His lawyers will be appealing the ruling, and are confident it will be overturned at a higher court. Samsung shares fell 1 percent following the verdict.